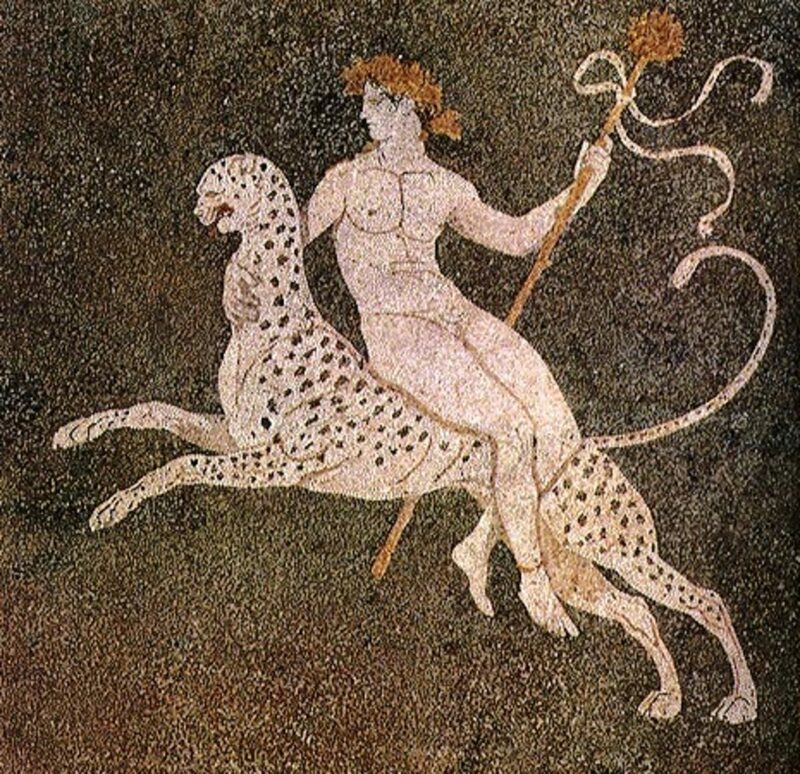 The idea of the nymph is one which appears regularly in Greek mythology; and according to many ancient writers the ancient world abounded with them. Within the Greek pantheon, nymphs are most easily classified as minor goddesses associated with elements of nature and specific locations. Broadly speaking, nymphs, with a few notable exceptions, can be classed as water nymphs, land nymphs or forest nymphs. The nymphs were all thought of as being beautiful, joyful maidens. 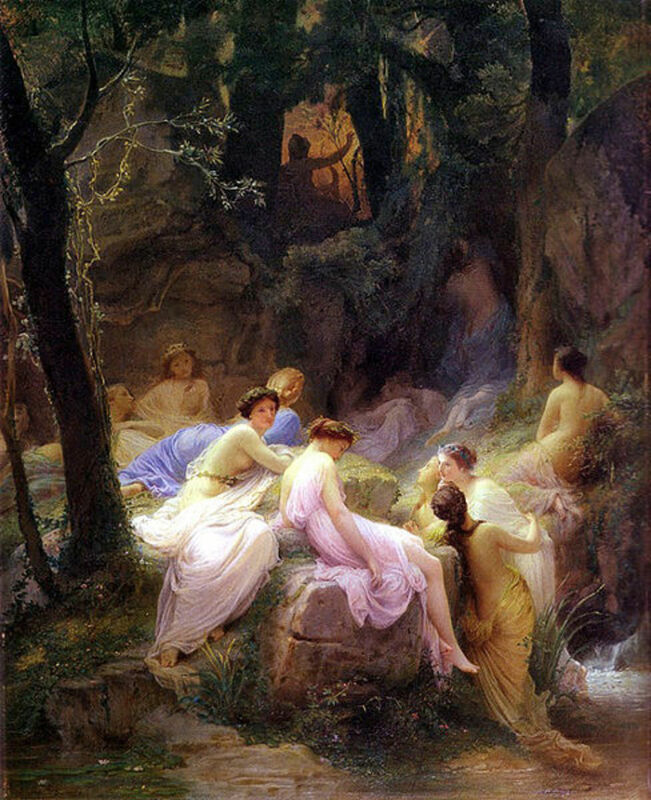 The beauty of the nymphs would make them objects of desire for many other gods, mortals and other inhabitants of the ancient world. 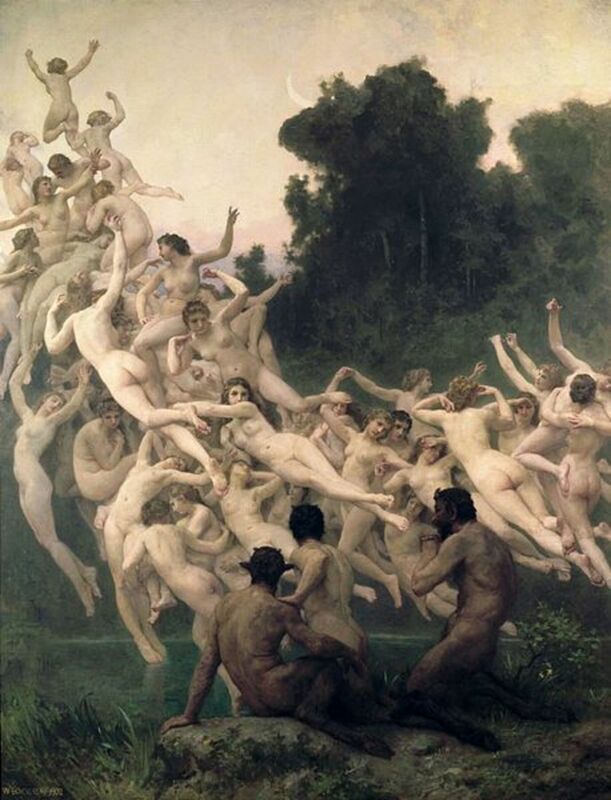 The nymphs would often willingly give in to the sexual advances of others, but would also occasionally flee from unwanted advances. The beauty, and the joyful nature, of the nymphs would often seem in the retinue of major gods, or as attendants to the same; and so nymphs were often found away from their expected “natural” habitat, and were instead depicted alongside the likes of Artemis, Demeter, Dionysus and Poseidon. It is normally assumed that the nymphs were immortal just like the major Greek gods and goddess, neither aging nor getting ill, but this was not necessarily the case. Writers in late antiquity would give the lifespan of nymphs to be just under 10,000 years, and of course, nymphs were thought to die if the water source they were associated with dried up, or if trees were felled. The water nymphs are the most famous, and most common, nymphs of Greek mythology. In general terms the water nymphs of Greek mythology can be classed as Oceanids, fresh-water nymphs, and Heliae, salt-water nymphs. 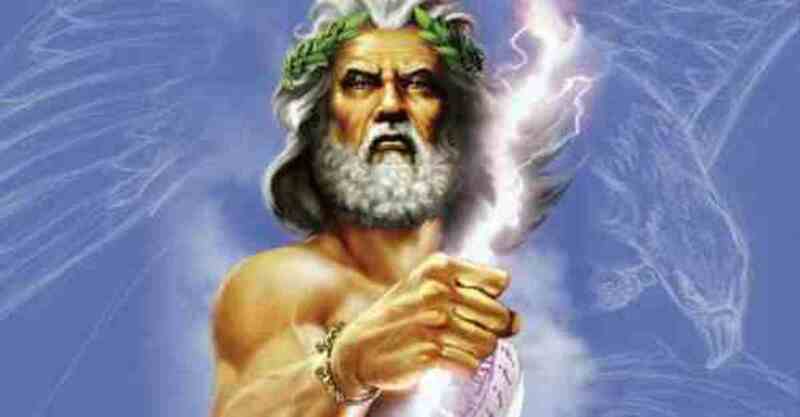 The Oceanids were the 3000 daughters of Oceanus, the earth encircling river god, and his wife, Tethys. These Oceanids were in charge of virtually all elements of fresh-water, although, depending on their domain, they were given different names. The Naiads, were the Greek nymphs of springs and fountains, although the nymphs of springs might also be called Pegaeae, and the nymphs of fountains might be referred to as Crinaeae. 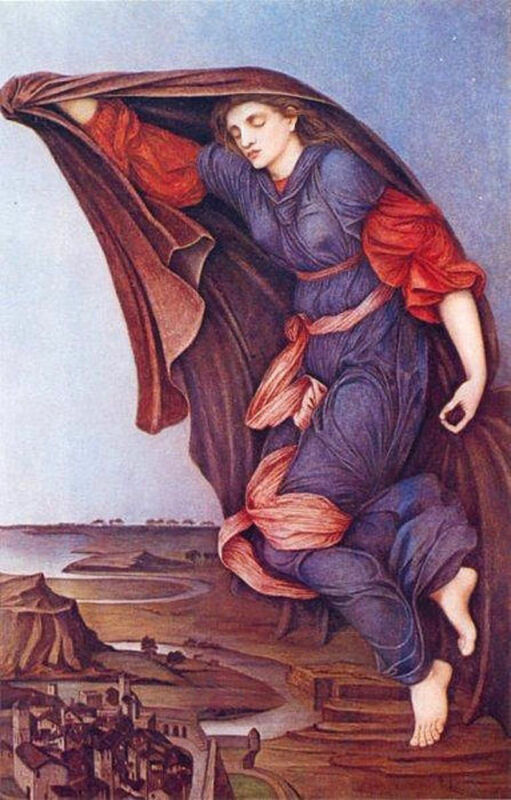 There were also famously nymphs of the clouds, the Nephele. The water nymphs of wetlands were the Heleionomae, the nymphs of the meadows were Leimenides, and the nymphs of the lakes were Limnatides. 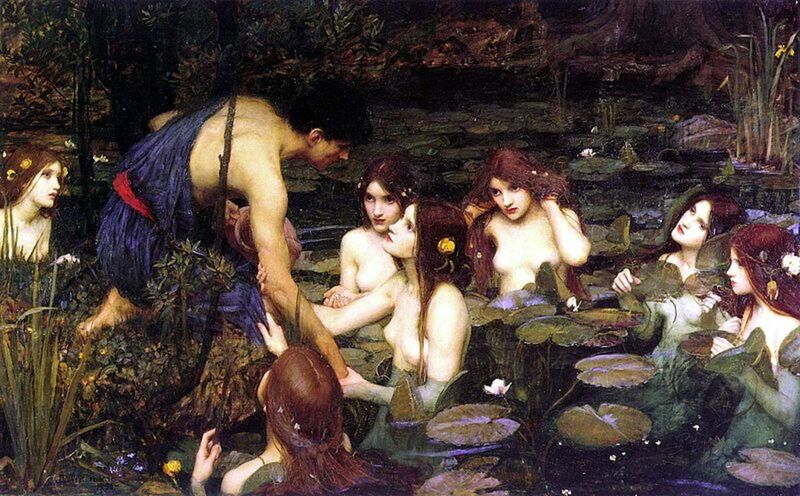 Occasionally spoken of were the nymphs of the rivers, the Potameides, but in Greek mythology, it was more commonly thought that male gods, the Potamoi, were associated with rivers. The ancient Greeks also thought of fresh-water being found within the flowers and also the cooling breeze, and so these also had nymphs associated with them, with the Anthousai being the nymphs of flowers, and the Aurae being the nymphs of the breezes. 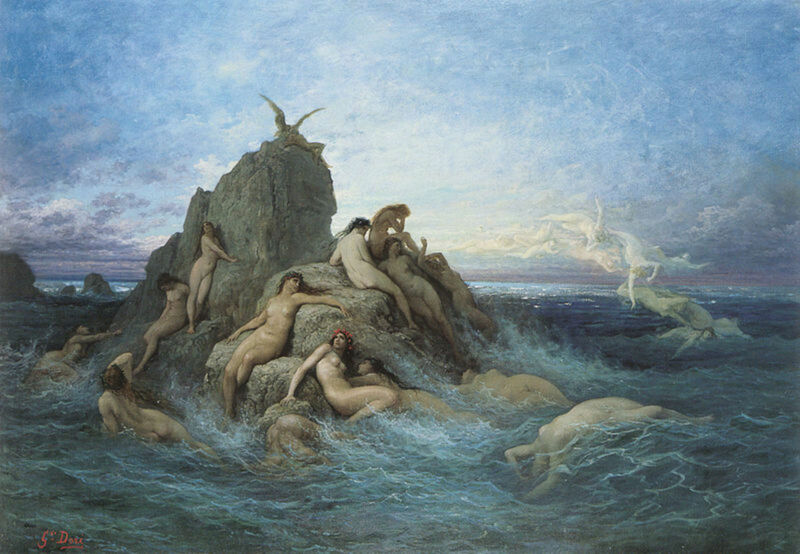 The Heliae were the salt-water nymphs of Greek mythology, with the most famous Heliae being the 50 Nereids, daughters of the sea god Nereus, and the Oceanid Doris. 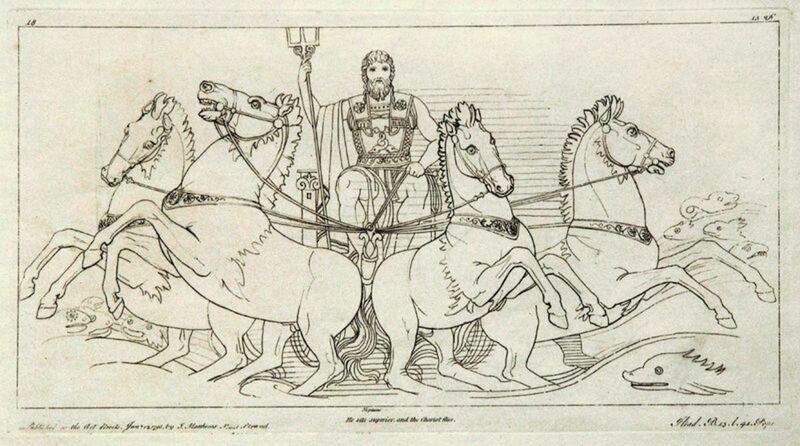 The Nereids were particularly associated with the Aegean Sea, and were commonly depicted as being part of the retinue of the Olympian era sea god, Poseidon. Land nymphs, in Greek mythology, were the nymphs less often recorded in ancient texts, but occasionally reference would be made to the Alseides, the nymphs of the glens and groves, the Auloniades, nymphs of pastures and vales, the Napaeae, nymphs of wooded mountain valleys, and the Oreads, nymphs of the mountains, and therefore closely associated with the Ourea. Whilst the water nymphs were the most famous of the nymphs of Greek mythology, the Dryades, nymphs of the trees and forests, were also often written about. In a similar way that the lifespan of an Oceanid might be linked to their water source, the lifespan of a Dryad might be linked to the life of a particular tree, often the tallest tree within a wood or forest. The Dryades were also subdivided into different groups, with particular wood nymphs linked to a particular type of tree. Thus nymphs of oak trees were Hamadryades, nymphs of laurel trees were the Daphaneae, nymphs of fruit trees were the Meliades, Kissiae were nymphs of ivy, Oreiades were the nymphs of mountain pines or furs, and Meliae were nymphs of ash trees. Epimeliades, nymphs of apple trees, were also commonly spoken of, but in addition to be nymphs of the trees, these nymphs were also considered to be guardians of sheep flocks. In Greek mythology, nymphs could also be found away from a natural setting, and were quite often found as part of the retinue of a god or goddess. Where this occurred the nymphs might be referred to by a different name, and indeed, in the case of the nymphs accompanying Dionysus (Bacchus), the nymphs might be called Maenads, Bacchai or Thyiades. Very interesting and beautiful hub, and I like the simple writing style. Enjoyed the reading. Many thanks once again for taking the time to read and comment. You've done it again. Another interesting Hub.